Welcome to Week 20 (!!!) 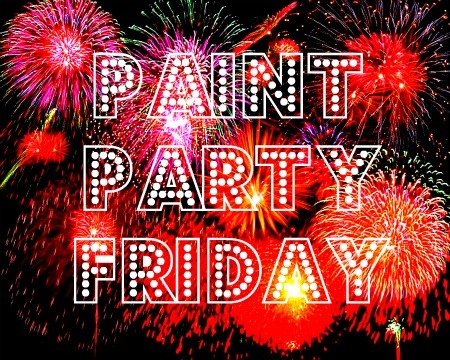 of Paint Party Friday. As the summer rolls on we continue to take it easy, but we are still making time for painting. We are thrilled that you are too! Last week we savored the flavors of summer by asking about your favorite warm weather eats. It seems that most of us enjoy the freshness the season has to offer, and lots of us love to grill! This week, we're wondering what sorts of beverages accompany your yummy summer fare? We want to know - How do you quench your summertime thirst? Please make sure to use your post URL address versus your blog address as there are many late visitors who get confused as to which post is for PPF when they arrive (after Friday) at your website. If you are unfamiliar with Mr. Linky, an explanation of how this tool works can be found on Week 1 and Week 2 check-ins. 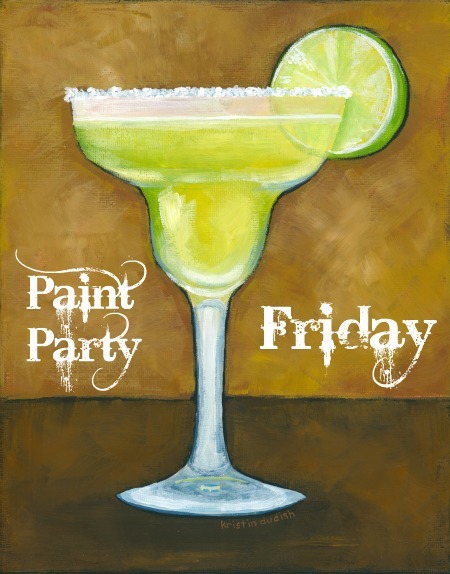 Help yourself to a margarita, enjoy the wonderful paintings of this week's players and have fun at the party! Welcome to Paint Party Friday (Week 19)! 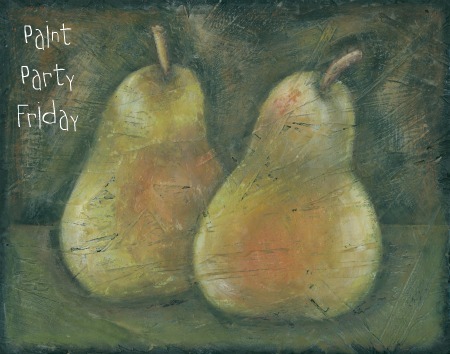 We are so happy to see how many of you are continuing to paint even with summertime distractions and vacations. Speaking of vacations, last week we enjoyed learning about how you like to spend your holidays! There are many different ways we have fun, but it seems that most of us agree - we could definitely use more free time! For our "easy breezy" summer poll think week, we're wondering: What is your favorite summertime food? Please make sure to use your post URL address versus your blog URL address as there are many late visitors who get confused as to which post is for PPF when they arrive (after Friday) at your website. If you are unfamiliar with Mr. Linky, an explanation of how this tool works can be found on Week 1 and Week 2 check-ins. We've found that one of the best ways to re-charge our creative batteries (other than eating many delicious flavors of ice cream) is to take a holiday! For this week's poll question (assuming you aren't already away on holiday...), we're curious... Where is your favorite vacation destination? Welcome to Week 17 of Paint Party Friday! (Where has the time gone?!?) We hope you are finding some time to enjoy all of the fun and simple pleasures that summer has to offer... And we also hope you are finding some time to paint! In last week's poll we learned that you have many different ways of celebrating - all of them sound great to us (well, except for the catching up on chores! hee hee). This week we have a "cool" easy, breezy summer question for you... We want to know: What is your favourite ice cream? We also wanted to mention that one of our fellow partyers, Geri Centonze, is launching an online directory for blogging artists! You can read more about it here. Thank you for spending some of your summer at our party... We love this time of the week! To all our fellow Paint Party Friday players who live in Canada or the United States - Happy Canada Day! Happy Independence Day!! 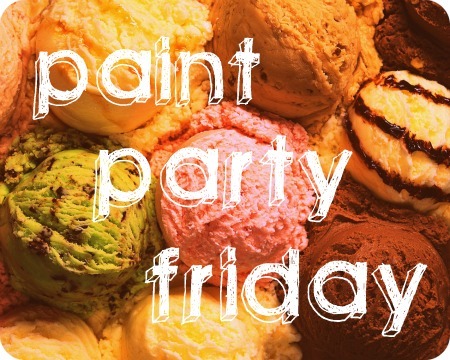 Welcome to Week 16 of Paint Party Friday! The sun is shining, the weather is warm (in the North anyway) and it is a holiday weekend for many of us. Last week we talked about the Seasons and our painting productivity. For most, the season is irrelevant to you. And for those who find one season more productive, the majority favour summer and winter (evenly). Spring wasn't chosen by anyone as their most productive season. One thing that many of you mentioned in the comments was that the summer, while inspiring, was so busy with other activities that it made it a challenge to paint as often as you'd like. We are with you on that. We also find that it is often more challenging to be at the computer when it is so beautiful outside. Do you find that? Summer deserves to be easy breezy - it is far too short here! With that in mind and the holiday weekend at hand, we wonder how you celebrate your nation's birthday? Hope you have a fabulous time at the party and a great holiday weekend for those of you who live in countries having birthdays!